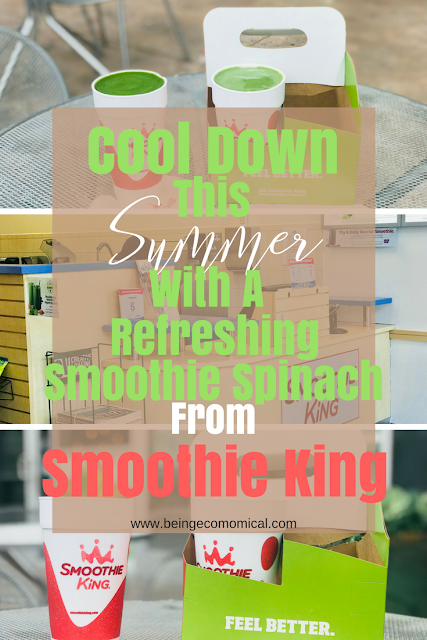 Now that the weather is heating up, it’s almost second nature to want to grab a refreshing beverage while you’re out and about with the family – and I know the perfect solution! 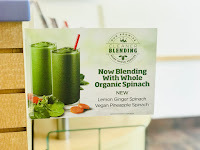 I had the pleasure of getting the chance to visit my local Smoothie King to try their all new Vegan Pineapple Spinach smoothie. This tangy beverage is packed with probiotics and had a nice, balanced amount of sweet and tart tastes. 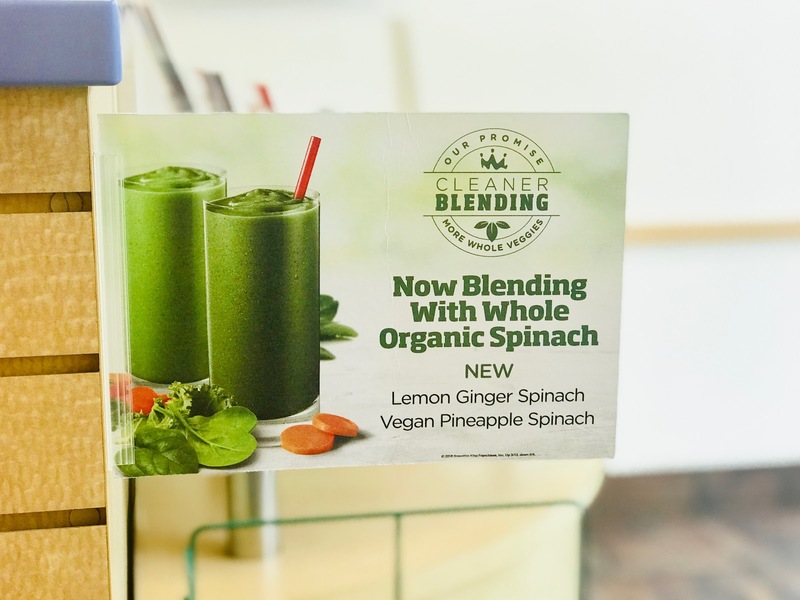 Which comes to no surprise, because the Vegan Pineapple Smoothie is made with fresh pineapples, bananas, organic spinach, a pineapple mango juice blend, carrots, lemon juice blend, almonds, Sunwarrior raw plant-based protein, and a Stevia-based sweetener. Can you say, yum? When I took my first sip, I was shocked at its delicious taste and I instantly gained a sense of alertness and a boost in energy. It was totally necessary after a few hours walking around an outdoor plaza in ninety-degree weather. 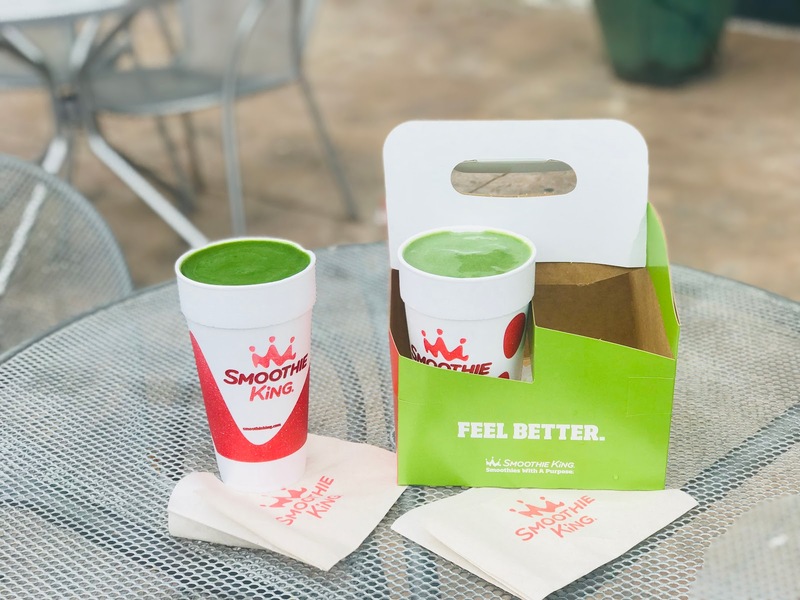 I’ve been a huge fan of Smoothie King for some time now and it’s definitely a family favorite in the summer months and when we’re pressed for time in the mornings. 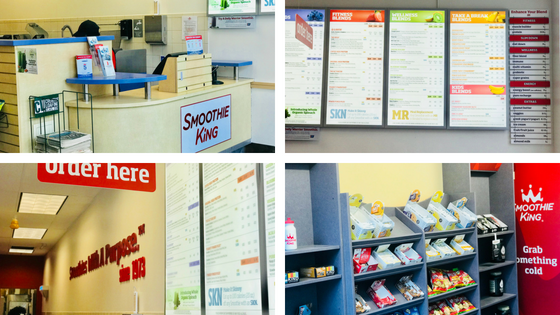 With all sorts of blends ranging from wellness to fitness, ingredients and flavors the kids will love, and even a blend to help you burn fat – Smoothie King is your one-stop-shop! Anyone who can serve me and my family all of our daily nutrition in just ONE cup definitely has my support - especially as a busy mother. We want the absolute best for our families when it comes to nutrition, so having a healthy, grab and go solution is a definite perk! Our family has been slowly switching over to a plant-based lifestyle for the past year and it’s done wonders for our immune system. 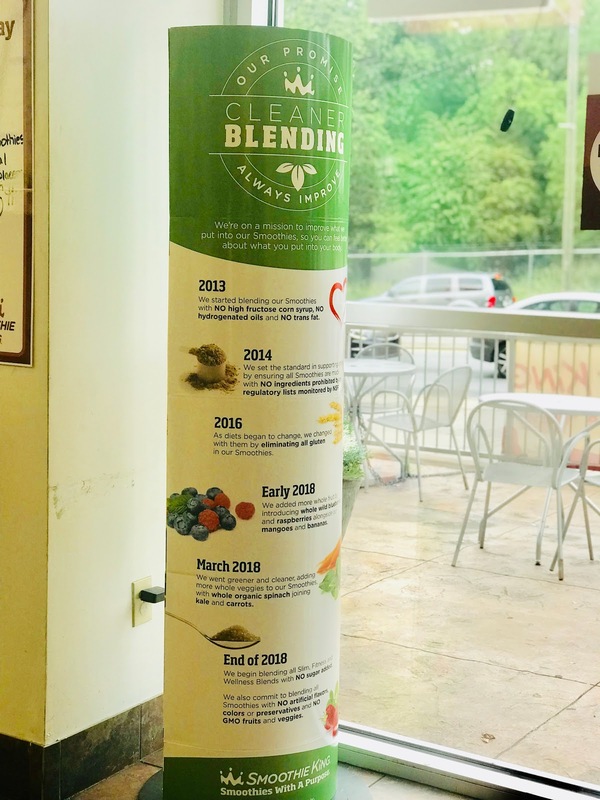 So, trying the new vegan smoothie was a no-brainer for us! 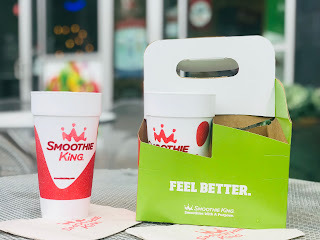 The nourishing, delicious, and refreshing Vegan Pineapple Smoothie contains 350 calories, 71 grams of carbs, which help your energy levels stay more consistent throughout the day. 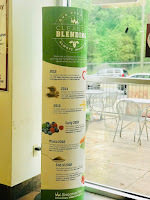 Once I finished the entire smoothie, I was left feeling rejuvenated and restored. Not to mention all of the amazing benefits of consuming fresh fruits and veggies that this smoothie is made up of. For instance, spinach, which is high in protein and fiber. Carrots, which are a high source of antioxidants and helps protect against cancer. Pineapples, which supports your immune system, supports bone strength, and helps you digest foods easily. Bananas, which are loaded with essential vitamins and minerals that contribute to the proper functioning of the body and keeping you and your family strong and healthy! So next time you stop at your local Smoothie King, try one of the new Spinach smoothies which comes in two different flavors – Vegan Spinach Pineapple and Lemon Ginger Spinach. You’ll thank me!